This might not surprise you, but despite your team’s best efforts, most of your leads aren’t necessarily going to proceed in an orderly fashion from inquiry through the qualification on to being accepted and then into the closed/won status. No duh, right? However, if you apply the principles from David Lewis’s recent book Manufacturing Demand: The Principles of Successful Lead Management, the net impact can be a dramatic increase in the percentage of conversions. This means more customers and more revenue! Find out how lead nurturing guides these leads through the demand funnel and how to offer the right information to the right person at the right time. 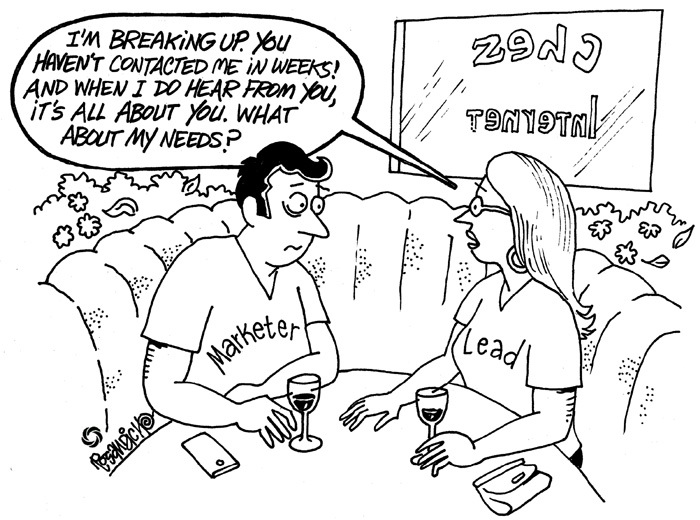 Read Chapter 6: Lead Nurturing: The Payoff for Patient Marketers. Good one. Can you direct me how can I get complete “Manufacturing Demand: The Principles of Successful Lead Management” book.